Israeli army with its heavily loaded tanks attacked the Gaza border today leaving one Palestine civilian death and 2 others injured. This is why i never trust Israeli Army!!! BBC reports, Israel’s military as saying, it was responding to an attack by Palestinian militants who had detonated an explosive device targeting an army patrol along the border. In fact,the Local Palestinians said they had been collecting stones to recycle into bricks when they came under fire. It is a known fact that after taking away the land from palestine, Israel has always eyed to expand itself more globally and aggresively. Last year, despite UN’s request ( yeah its a request. UN doesnt have the strength to warn Israel for whatever reasons!!!) 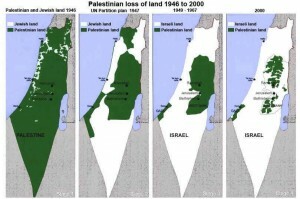 Israel continue to occupy the restricted area for its land expansion and for building a new homes. 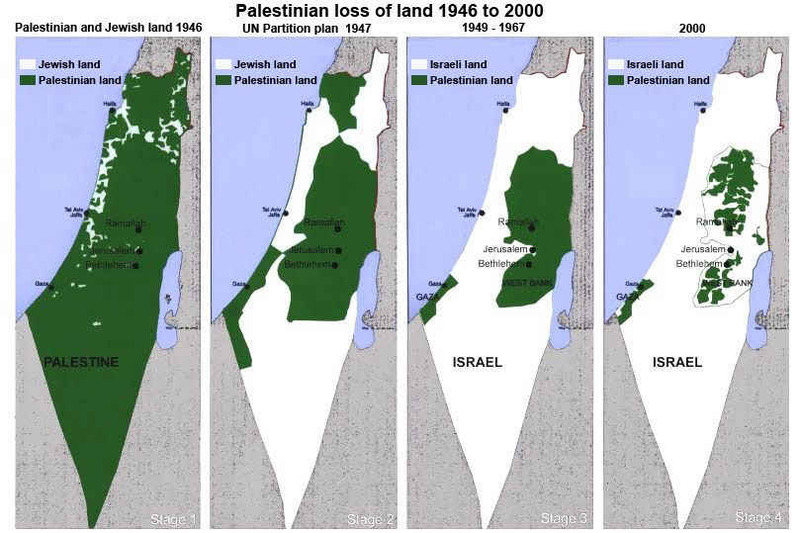 I found an interesting map that tells you the story of Israel and Palestine. If you could just analyze the map, you can understand which country is aggressive and which country is fighting for their rights. Previous: Mammoths to be cloned!